Going back to work after the birth of a child is challenging for all kinds of reasons. Many parents feel guilty or anxious as they leave their child with a caregiver for the first time. On top of those family concerns, they may feel like those months away from the daily grind of the office have left them hopelessly behind or out of touch with their jobs, leading them to wonder how—or if—they’ll be able to catch up. The reception they receive as they return to work could further complicate the situation. As noted in a Fairygodboss article, many new parents feel the need to go above and beyond to prove themselves, even as they discover they are treated differently than they were before. A new parent who wants to overcome such difficulties should focus on the right things when returning to work. According to a recent Harvard Business Review article, those returning to work after parental leave should concentrate on their sense of self, their boss, and their corporate culture. “Strategically managing all three will not only make your own journey a lot easier, you’ll also contribute to adapting your company to twenty-first century realities,” says the HBR article. The focus on self starts by aligning your goals and needs with those of your partner, the article says. This is vital to your success, especially as you realize that you can follow many different paths toward building a strong career and family. By having open conversations about your individual hopes and dreams for parenting and careers, you can develop a plan that will work for both of you. Just remember that you’ll also need to show patience and a willingness to adapt to changing circumstances. Next, the article says, focus on your relationship with your boss. This can be difficult for any new parent, but it’s especially challenging for women who work in a male-dominated company. Finally, pay attention to the corporate culture. Most companies today still expect people to follow a traditional, linear career path. If you want your path to include more flexibility and balance, you might have some work to do. “Some companies have great policies, but managers who aren’t very open to applying them,” the HBR article says. “Make sure you know what the corporate rules of the game are in your company. If they’re unclear, reach out to other colleagues with kids. 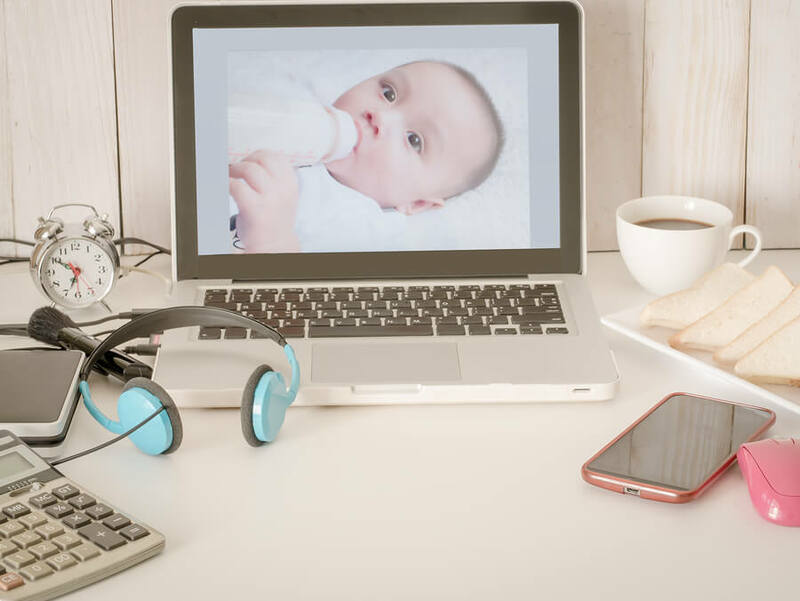 If your company is truly interested in retaining its best employees—including new parents—it should have back-to-work policies in place to help ease your transition. That includes flexible work options and support at the office, such as dedicated rooms for nursing mothers. Your return to work as a new parent will be difficult. For some people, it may be one of the most challenging situations they face during their careers. But if you approach it with patience—in yourself and others—and focus on the right things, you can make it work.